Are you interested in getting a paralegal degree online? If you would like to work in the legal field assisting lawyers, earning a paralegal degree can help you secure gainful employment in any geographical location and any sized firm. There is no denying that a degree in paralegal studies will help you garner any entry-level opportunity without experience, but some prospective students simply do not have the time to study in a classroom need the flexibility that online programs have to offer. Read on, and learn about your options if you want to be a paralegal and you want to study online. There are plenty of different paralegal degrees that you can earn online through many different traditional and online schools. You first need to decide which type of degree you would like to earn before you begin searching for employment. 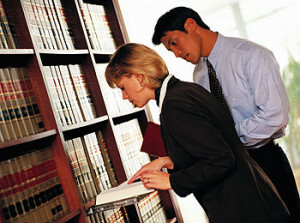 An Associate of Arts in Paralegal Studies will prepare you with the practical skills that you need to enter the field. You will learn problem-solving skills, theory, critical thinking skills, and how to analyze ethical issues. AA in Paralegal Studies help people who want to enter the field as quickly as possible but who will work in smaller firms. A Bachelor’s degree in Paralegal Studies will help you expand your knowledge and develop your skills. When you take a B.S. program, you will learn the foundations of law and the worldviews of contemporaries in the field. A Bachelor’s degree will help you advance in the field or land roles with large firms. A Master’s degree will help you earn a higher salary and take on more responsibility as a paralegal. A graduate program will balance theoretical, historical and philosophical study so that you are prepared for a high-level of responsibility and you have a deeper understanding of everything from legal research to international law. If you were to search for online paralegal schools, the search engine would spit out at least 2.3 million results. Not all of these schools are legitimate or accredited. This is why you need to take time to research the schools before you affiliate with them. The best way to avoid the diploma mills and to find a legitimate school with high-quality paralegal programs is to find a regional or nationally accredited institution that is recognized by the US Department of Education and by credentialing bodies. One way to find programs is to review the list of ABA-approved paralegal programs and then sift through the list. Once you find approved school, choose a degree type and then review the curriculum. You should also read about the financial aide options, the cost for the entire program, and whether or not counselors are accessible. There is a growing demand for paralegals in the legal sector. With the Bureau of Labor Statistics projecting that demand in the field will grow by 17 percent in the next 7 years, now is the time to enter into a program so that you can expand your horizons. Do your due diligence so that you can find the best program, and once you do you can get your paralegal degree online so that you can still fulfill all of your professional and familial obligations. See also: What Will be the 5 Most Popular Online Degrees for 2015?